Greetings everyone! 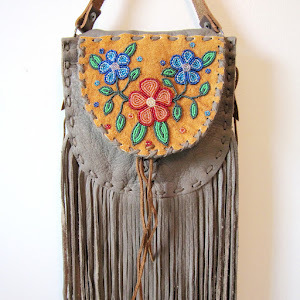 I should have posted this a month ago - but things have been rather busy on the Beyond Buckskin train! Last year I began the BB Top Lists, wrapping up the biggest moments of the previous year. 1. ETSY SHMETSY: A year ago, I became aware of the dark side of Etsy. In this post, I called them out, stating, "Etsy is a breeding ground for Native American stereotypes, tackiness, and tastelessness." 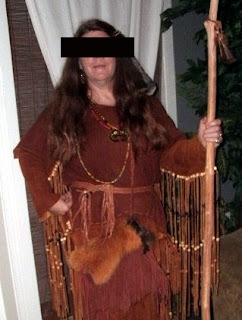 One of the people I highlighted in this article got her feelings hurt, and her friends decided to attack me, my profession (evidently teaching Native American art history is a joke to this select group of 'Indians'), and I was told I should be respectful to a 'community elder.' Elder? Well, I did some research and wrote this lovely post, "Your Elder’s Name is Google" (right). 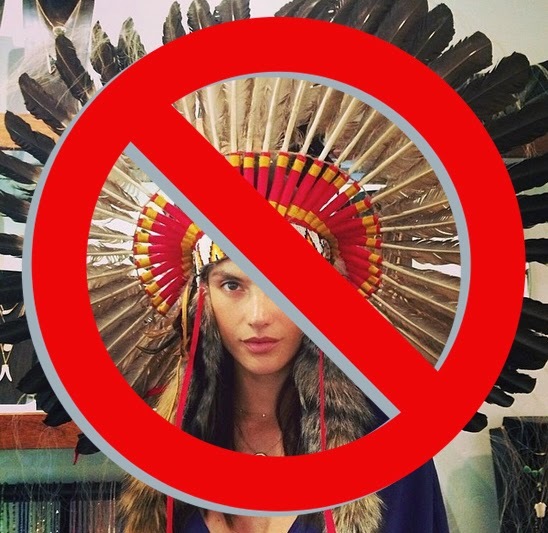 Later I would write a few more articles, stating "Indian Headdresses Should Not Be On Etsy," and asking "Does Etsy Condone Trademark Violation?" I also called out this guy named Eagle Spirit (seriously, reread this article, it's a good one). 2. URBAN CONTINUES TO BE A THORN: Oh Urban Outfitters - the case continues! Recently, when a company gets caught with their pants down, they make some sort of statement. Not UO. They were even trying to have the court case moved to Pennsylvania and far from the Navajo Nation capital. So, it drags on. There was this video, A Letter to Urban Outfitters, which was filmed at my alma mater, Dartmouth College, and Fashion Law Institute also covered the issues, bringing home the point that there's More At Stake Than A Court Victory. 3. THE LONE RANGER: The Lone Ranger Trailer was released! (well 2 of them) And we still can't agree whether or not it's going to be a #gamechanger, or if it's just the same ol' Indian song and dance (and broken English). 4. ACROSS THE POND: There was 'Navajo' fashion in the UK. The UK hates real Indians. Loves imaginary ones. 5. REDFACE AND OTHER 1491s VIDEOS: The 1491s released a couple of videos that had more of an intellectual bent than usual, and I loved it. They launched this video in response to Indian mascots, playing Indian, and redface. They also posted this delightful video (I have a cameo!) called I’m an Indian Too. 6. CHILD’S PLAY: Hey man, start your kids off on the right foot with toys inspired by stereotypes. Hello Kitty was infected with the Tribal Trend bug and rolled around in some 'Aztec' glitter. In fact, Adrienne Keene and I were asked in an article to discuss the 'Aztec' trend (is 'Aztec' the new 'Navajo'?!). And then there was this Lalaloopsy doll: "Feather Tell-a-Tale" with her friend, the bear whose body is a bear head (right). At least she doesn't have a tomahawk. 7. VIDEOS, POP MUSICIANS AND OTHER WANNABEES: There were a lot of folks doing some tacky Native appropriations, including this person at Katy Perry's birthday party, Blondfire and their "Where the Kids Are" video, the Flo Rida approved football uniforms (wtf? ), this Korean pop video, and a whole slew of companies released tees or hoodies with Indian skulls in headdresses emblazoned on the front. 8. HALLOWEEN: Every year we brace ourselves for Halloween - we never know what kind of Pocahottie hot mess Native appropriations are going to come out of the woodwork on this day. So we had this checklist in hand, while this article made me cringe, but we were happy to hear that one company pulled their Sassy Squaw children's costume (I can't believe that such a thing could even exist). 9. 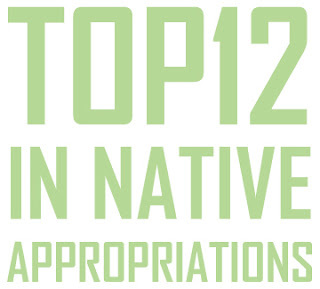 20 SIGNS: In case you're concerned that you might be a Native-inspired hot mess, I came up with this list of 20 signs you might be taking the Native trend too far. Just tryin' to help out! 10. NO DOUBT: Oh Gwen! Why did you betray us! No Doubt yanked their Too 'Hot' video, and we talked about it here and here (among other places). 11. HEADDRESS OUTBREAK OF 2012: Now this was simply uncanny - it was as if the headdress was contagious and starting popping up on everyone's heads. The headdress was misappropriated by this Colorado Boutique, this student, and some chick who calls herself Gypsy Soule and claims she can do whatever she wants, because she's Cherokee. There was also the Hipster Sister (below) spotted at Kateri's canonization. The whole thing = bizarre. Then there was the Victoria's Secret Bloomer Headdress Incident of 2012 (below). I first saw it here, then Huffington Post offensively asked if it was offensive, Chelsea Vowel talked about it, Ruth Hopkins for Last Real Indians wrote a great article on it, Native Appropriations chimed in, and a Petition was started. And then they finally apologized on Facebook. Then our buddy Snoop joined the ranks of 'honoring' us by making a mockery of a sacred tradition - on Thanksgiving! 12. PAUL FRANK: Last, but certainly not least, was Paul Frank's Racist Powwow. I wanted to put this one last because hopefully it will become a great example of how bad situations can turn lovely. See, in this world, we're going to come across people who don't know they're being offensive (hey, it happens!) but we need to work together. 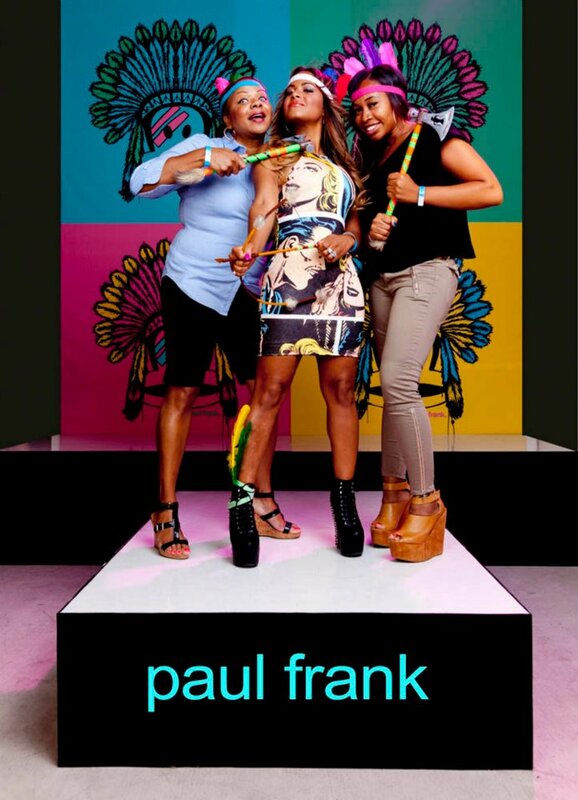 The Paul Frank case is shaping up to be a great example of how to apologize, listen, come up with solutions and creative ideas, learn, pass on that new knowledge to others, and move forward. What was your take on the whole Crystle Lightning take on the headdress issue? Myself, I found it wrong, no matter the intention. What is your take on our own people misappropriating our people's or other tribes culture and or traditions? Whatever gives you the idea that the UK hates Native Americans? The bigoted minority who might, couldn't give a toss as their narrow minded stupidity and hate is directed at Indians. From India. And having prints and designs inspired by Native American traditional designs isn't theft of heritage. It's INSPIRATION. Admittedly if the company had wanted to "Go Native" they could have gone with celtic designs as that is closest to UK native. I agree that there are many people who do do it wrong, particularly the proliferation of fake, innapropriate and badly made headdresses. But that doesn't mean that an English designer shouldn't use Indian or Pakistani design themes in their clothing. Cultural exchange doesn't happen by standing with swords drawn on both sides and one shouting "GIVE US YOUR CULTURE WE WANT IT" and the other shouting "ANYTHING THAT LOOKS LIKE OURS BUT ISN'T SHOULD BE BURNED". 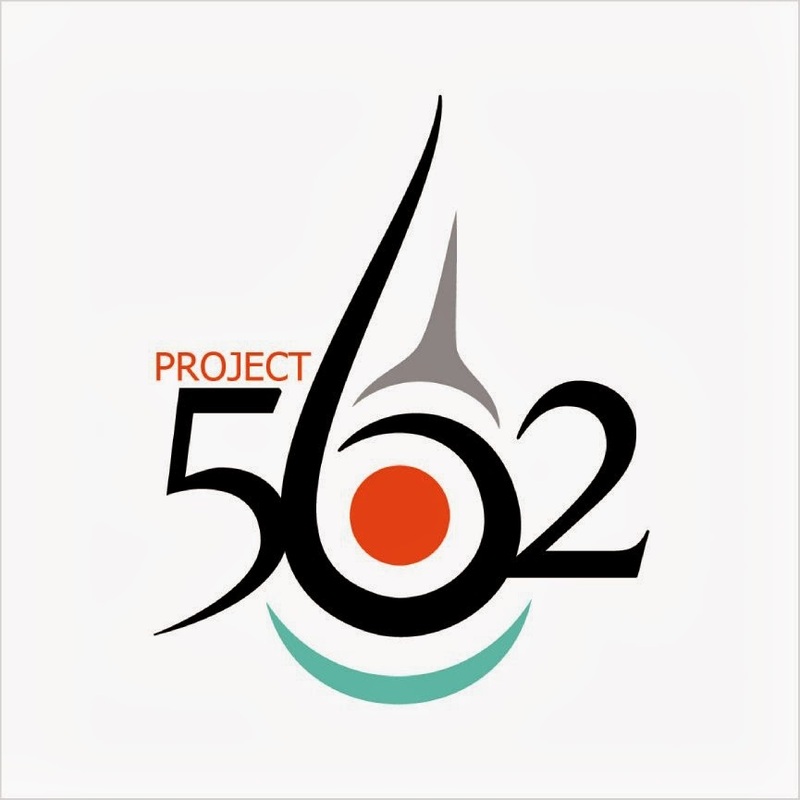 You do great work on here and through the boutique of promoting Native designers. And I applaud you for it. I also applaud your articles against people like Paul Frank and UO who ARE being offensively tasteless. But I feel that a kneejerk reaction to any use of native american designs as inspiration for designers who are not Native is a little extreme. Unlike the US government and secttions of industry, not everyone is out to destroy your cultures and trivialise and ridicule your identity. Some just think Native designs are pretty. And who could argue with that?